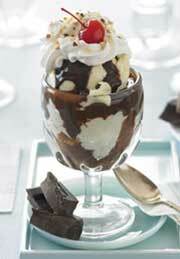 In a heavy saucepan, combine the chocolate (broken into 1/4-inch pieces) , butter, sugar, water, and light corn syrup. Stir the mixture continuously over medium heat until the chocolate and butter have melted and the sugar has dissolved. When the sauce comes to a boil, lower the heat and continue boiling gently for 10 minutes. Remove the thickened sauce from the heat, and stir in the vanilla extract. Store covered in the refrigerator.